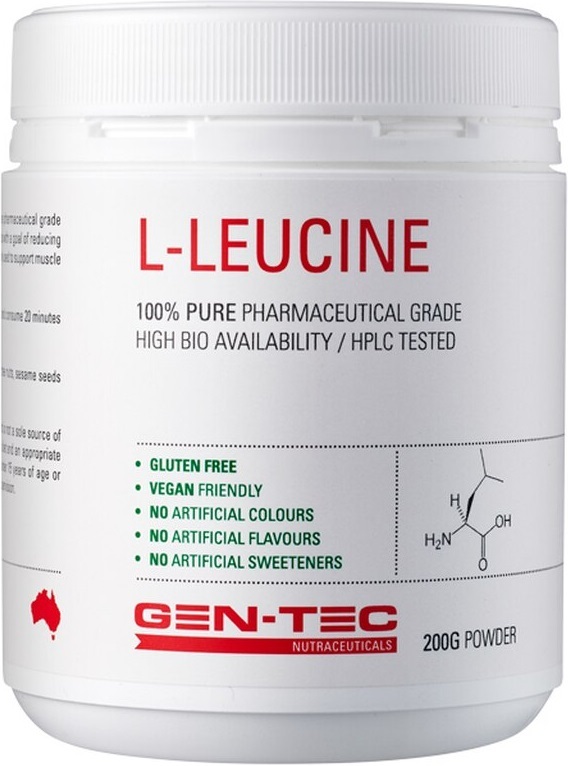 Gen-Tec L-Leucine forms part of the new Gen-Tec Nutraceuticals range. 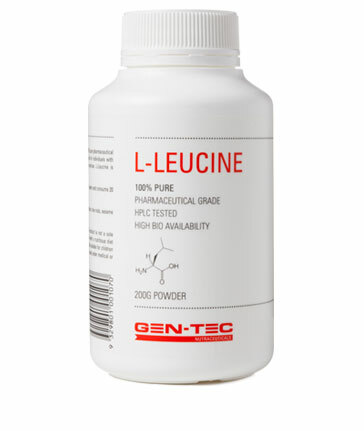 Gen-Tec L-Leucine provides 400mg pharmaceutical grade, 100% Leucine per serve. Leucine is one of the branched chain amino acids that also include Isoleucine and valine. Leucine is depleted during intense physcial activiity and due to its essential role in protein synthesis needs to be replaced to prevent muscle breakdown (catabolism). Gen-Tec L-Leucine has a high bioavailabiliey and its supplementation is important in muscle recovery and thus muscle growth. Mix 1 serve 400mg (1/8 teaspoon) of Gen-Tec L-Leucine Powder in water and consume 20 minutes before, during, after exercise or before bed. INGREDIENTS: 100% Pharmaceutical Grade L-Leucine.